Magnificent One of a Kind Inlaw! Two Houses separated by an enclosed breezeway w/separate utilities but share a 2000 gallon septic installed in 2006! The Colonial built in 2006 is the "inlaw". The Ranch is the original house built in1977, but well cared for with a new roof, updated windows & spacious floorplan! These 2 structures sit on almost 2acres of woodlands with great privacy & a pond just a short walk down the street. 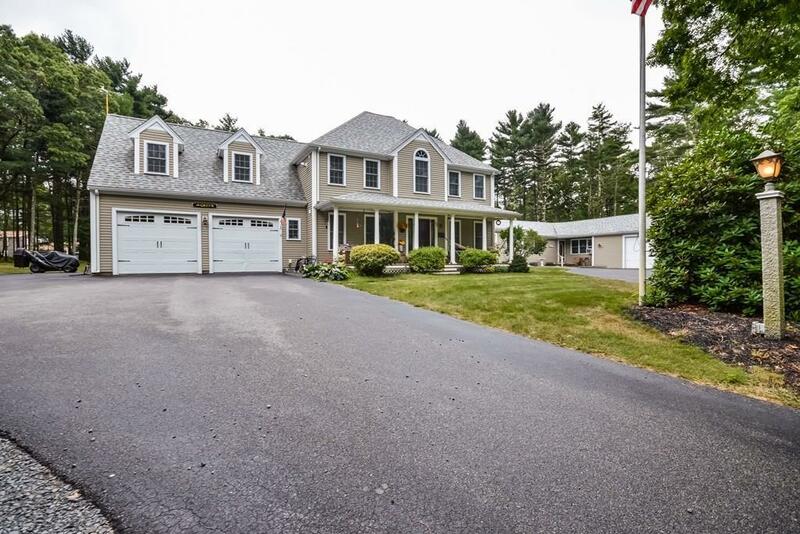 The Colonial offers 4brs-2.5baths with radiant heat under the first floor, Cen Air, pine flooring, new carpet & a fin bonus room over a 2 car attd garage~The Ranch offers 3Brs-1.5baths w/a 1car attd garage. The open floorplan offers addl living space in the partly fin lower level. The private backyard is enriched by specialty lighting, lush green trees, a shed, garden, play area & lengthy maint free deck off Col kit & breezwy. There is a pillared farmers porch off the front yard. The Col is serviced by an irrigation system & both homes share a circular paved drive! Listing courtesy of Beth Tassinari of Century 21 Tassinari & Assoc.. Disclosures Two Houses Separated By An Enclosed Breezeway W/Separate Utilities But Share A 2000 Gallon Septic! The Colonial is The "Inlaw". Separate Wells & Generator Plug(S) On Each Side. Listing provided courtesy of Beth Tassinari of Century 21 Tassinari & Assoc..